In one of the recent Horizon view project the client want to access VDI over Internet or VPN. Security server is used in DMZ and the VPN users also land-up in DMZ with a different Subnet than used by servers in DMZ. When they try to access using FQDN (view.domain.com) from Internet, they are asked for credentials. 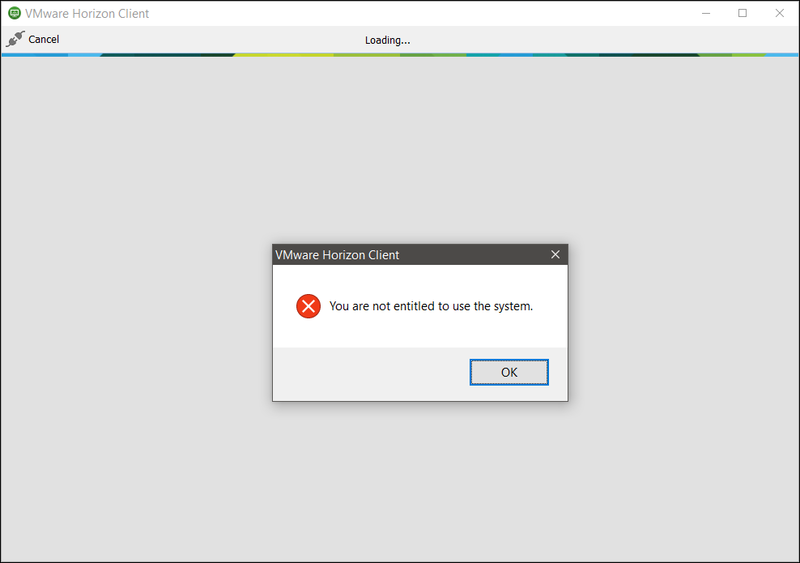 Once credentials are provided they are faced with the following error : “You are not entitled to use the system” Apart from Desktop Pool Entitlements, you have to add the users under “Remote Access” tab found in “Users and Groups” section (left navigation menu). These are the users whom you want to be able to access desktops over internet or VPN.